Sue Cox Diary of a recovered catholic, happy Atheist,Humanist - with just a tiny touch of ZEN! : A shimmering Survivor tree! We went to see the newly restored synagogue, funded by the Tony Curtis foundation, we had learned about this wonderful tree in the courtyard. It was entirely made of aluminium, and it shimmered in the sunshine, quite a beautiful sight. What was more beautiful, and still makes me cry to think about it, was that each one of the tiny individual leaves on the tree bore the name of a holocaust victim, it seemed to me to shimmer even more brilliantly when I knew that. I often post pictures of my garden, not because I want to show off our "green fingers" ! But because my husband made it all for me, he calls it Sue's "peace garden". It used to be a car park, solid concrete and clay, and he dug it all out and created a place for me to be when I get stressed, or sad, or burdened with harsh memories.It has given me great solace, not least because it was a labour of love. I post it on my Facebook page just so that people can share it with me. 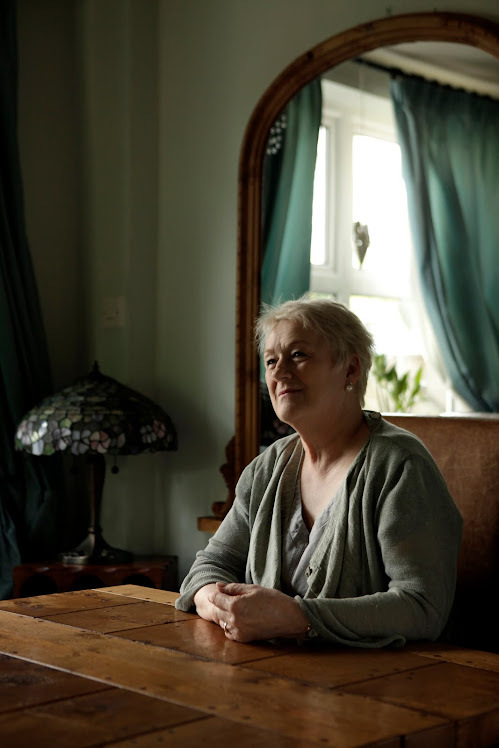 I have been fortunate that since Survivors Voice Europe came into being, and since I met some of the bravest and wonderful survivors imaginable, they have been to visit me here and we have sat in my garden , and made new memories. I wish they all could come! Ton and I have always talked about recovery being a "growing thing", a process, not an event. We created our healing tree on the website so that people could get help even if they are alone. He is creating a wonderful fishery and garden in Holland, and loves nature too. It has been so much part of our thinking and growing. 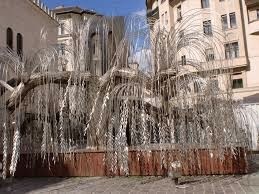 So I am going to create a Survivors tree in my garden, similar to the one in Budapest, and I hope that on each tiny silver leaf there will be the name of a Survivor -- and it will shimmer for ever. So please send me your names, I need to get started ! And I want you to be in my garden! DO NOTHING TILL YOU HEAR FROM US!